SEIZURE WARNING: This video contains flashing images. The Black Virtue Stone, one of two absent from the dungeons (the other being the White Stone, which can only be retrieved via the hot air balloon). To get it, search the place where the Moonglow moongate appears at double new moons. The Book of Truth from the Lycaeum. Search in the library (presumably under the letter "T"). 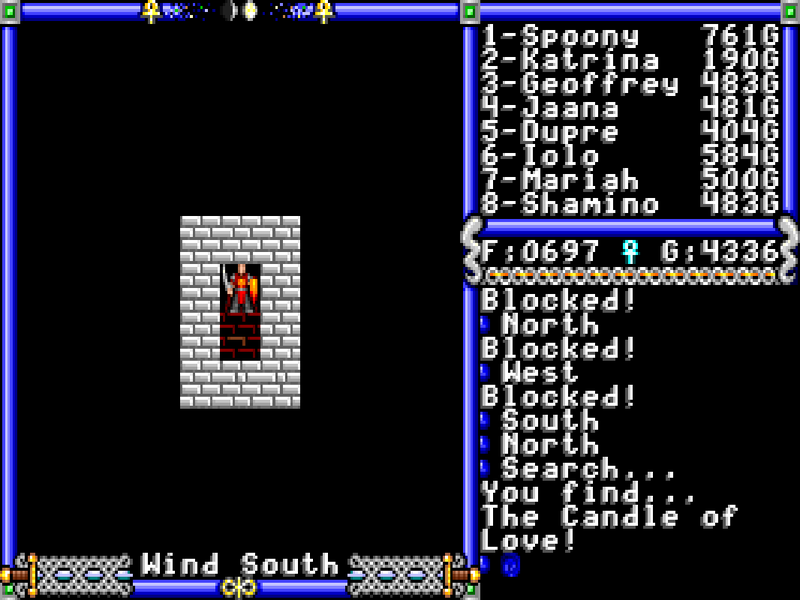 The Candle of Love, which can be found in a hidden room in the temple in Cove. You'll need to either have a ship pulled into a whirlpool or use a Blink spell to get there. The Bell of Courage, which seems to be rather arbitrarily placed in a reef in the ocean.. Search at coordinates N'A" by L'A" to find it. While not strictly necessary, the magic wheel at coordinates N'H" by G'A" will strengthen your ship, making it much easier to get past the pirate blockade on the Isle of the Avatar. The Skull of Mondain is also not necessary, but we might as well be completionists by destroying the last remains of our nemesis. It can be found at P'F" by M'F" on double new moons. Computer platform version differences for Ultima IV are fairly minimal. 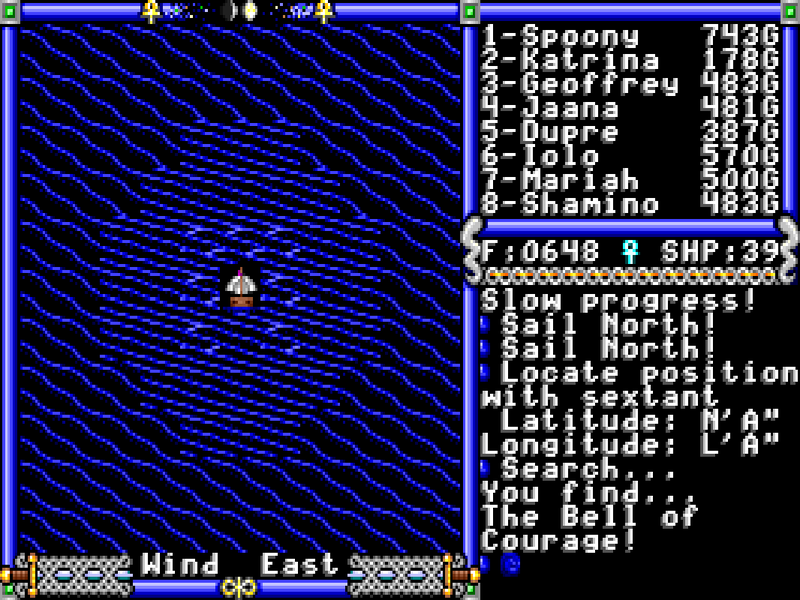 The only real thing of note is a bug in Hythloth in the DOS version that prevents you from passing through one room (necessitating the use of a Y-Up spell) and a bug that shows the same hint text at all of the shrines in the Apple, Commodore and Atari ST versions. As usual, the DOS port also has no music. The NES port has its gameplay and visual style reworked to resemble Dragon Quest. 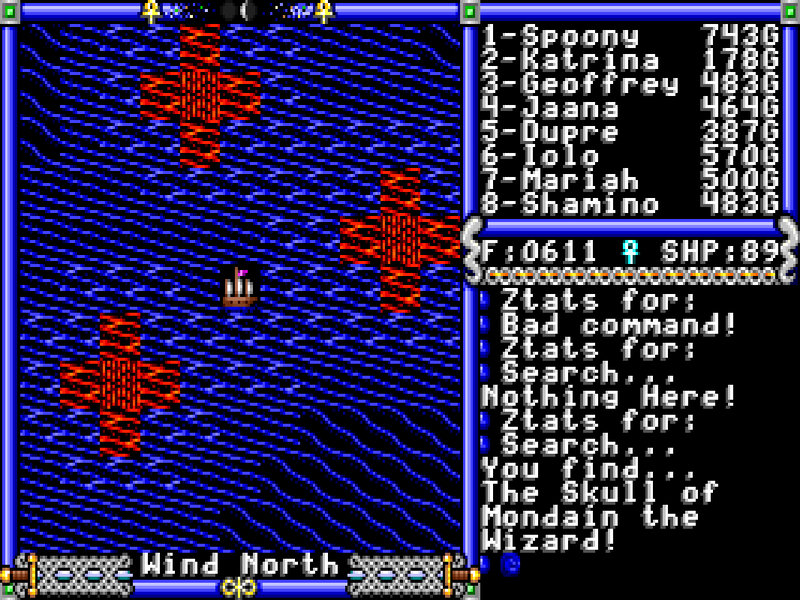 For example, the maximum party size is four (rather than eight), encounters are invisible and random, the dialog system is greatly simplified, and combat turns now only take part after everyone on both sides has selected an action first. The spell system was also somewhat simplified; you simply select a spell to cast and it depletes the necessary reagents. 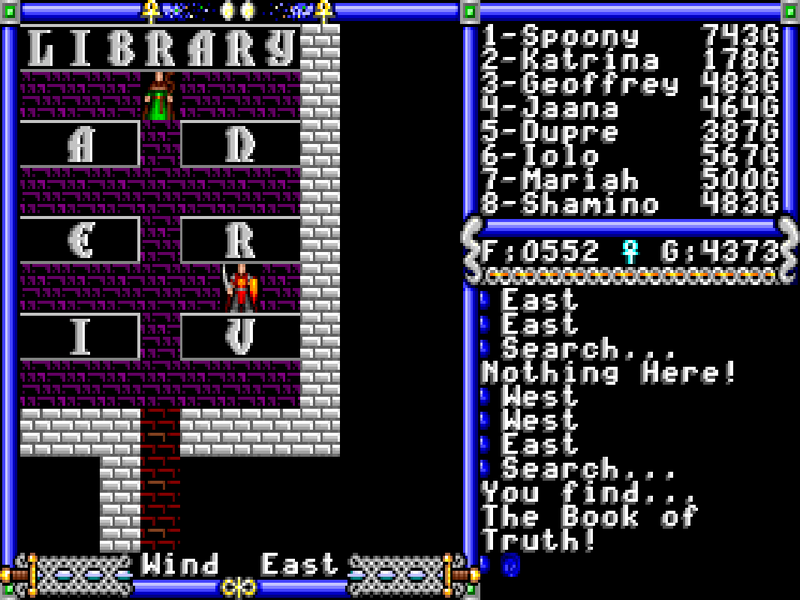 The Sega Master System version is more faithful to the PC versions, albeit with a somewhat simplified dialog system (players can only ask about keywords they've learned) and the dungeons are viewed in an overhead 2D layout, making them easier to navigate. 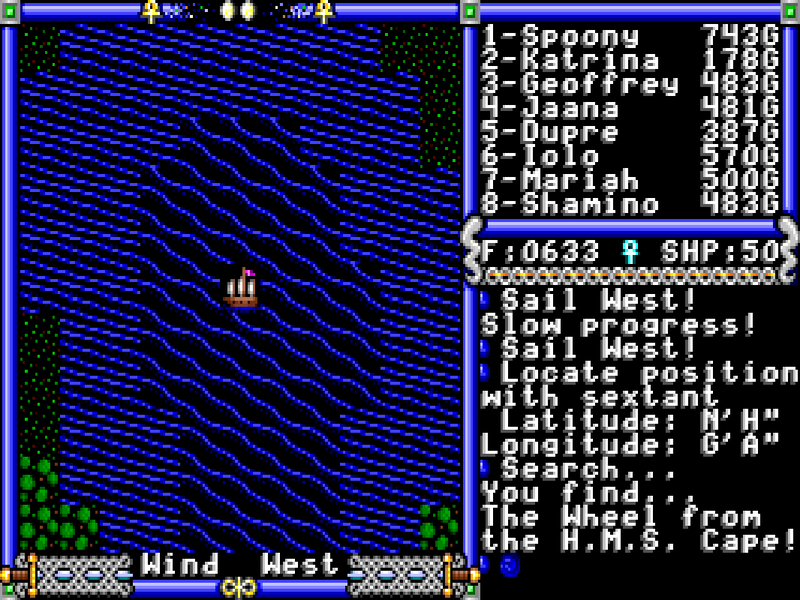 Diagonal attacking is also possible as in Ultima 5 and later games in the series.